Knowing how to paint wood floors can make the difference between a stylish statement and a mess. 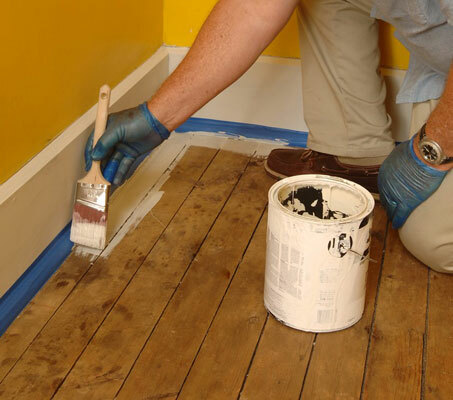 The thought of painting wood floors can be scary, but if your hardwood floor is damaged (or just ugly), painting the floor can make it look great again. You’ll need a stir sticks, a couple of 2-1/2-inch synthetic angled sash brushes, a telescoping extension pole, two roller covers, a roller cage, a 5-in-1 tool, a roller tray and liners. You also need a primer and a finish paint (either an interior paint or a specially formulated floor paints). 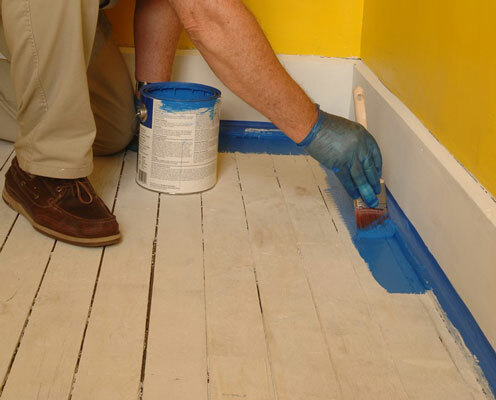 Once you’ve prepared the room, begin at the corner farthest from the door and cut in the edges of the floor with a 21⁄2-inch sash brush. 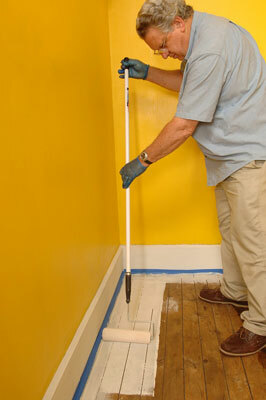 Use an extension pole to help you to roll the primer on the floor. The pole will speed up the job and save your back. Work in 4-foot-square areas. Let the floor dry thoroughly. Follow the manufacturer’s instructions for time — anywhere from 30 minutes to 4 hours. 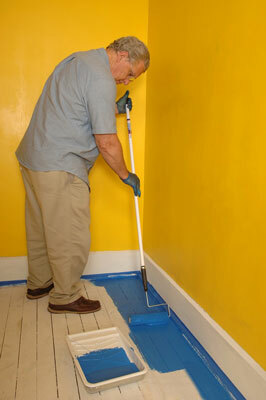 Use a clean 2-1/2 inch sash brush to cut in the finish paint around the perimeter of the room.